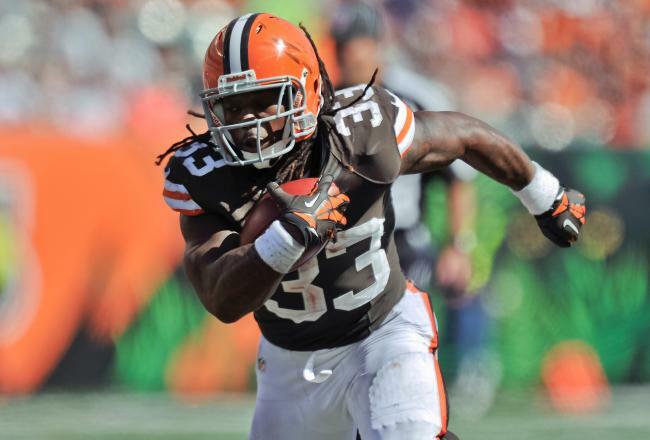 While they both started the season slow, both the Cleveland Browns and Trent Richardson finished strong. Trent was unable to breach the 1,000 yard mark but was able to break the 100-yard mark 3 times and was able to regularly get into the end zone for the scoring challenged Browns. Like at Alabama with AJ McCarron, Trent’s numbers were probably unfairly depressed by an inexperienced quarterback in Brandon Weeden. Even though he was a rookie, Trent saw the box regularly stacked against him to prevent the run. No one will say that he met expectations last year, but he can hardly be called a bust either. Trent should look to improve on last year’s stats and should continue to get into the end zone. If Brandon Weeden can continue to build on the promise he showed at the end of last season, Trent could be in for a break out year in the rushing yards and rushing average department. Look for both of those stats to increase and for him to maintain his impressive touchdown rate. Also, the Browns have a new coach and management who seem to be taking the organization in the right direction so it could be a break out year for the Browns in general.